Crataegus laevigata, a member of the Rosaceae family, is a large shrub or small tree growing to 8 m (rarely to 12 m) tall, with a dense crown. The leaves are 2–6 cm long and 2–5 cm broad, with 2–3 shallow, forward-pointing lobes on each side of the leaf. The hermaphrodite flowers are produced in corymbs of 6–12, each flower with five white or pale pink petals and two or three styles, can have a fetid scent, and are pollinated by midges. The fruit is a dark red pome 6–10 mm diameter, slightly broader than long, containing 2–3 nutlets. It is distinguished from the related common hawthorn, C. monogyna, in the leaves being only shallowly lobed, with forward-pointing lobes, and in the flowers having more than one style, however hybrids occur frequently. 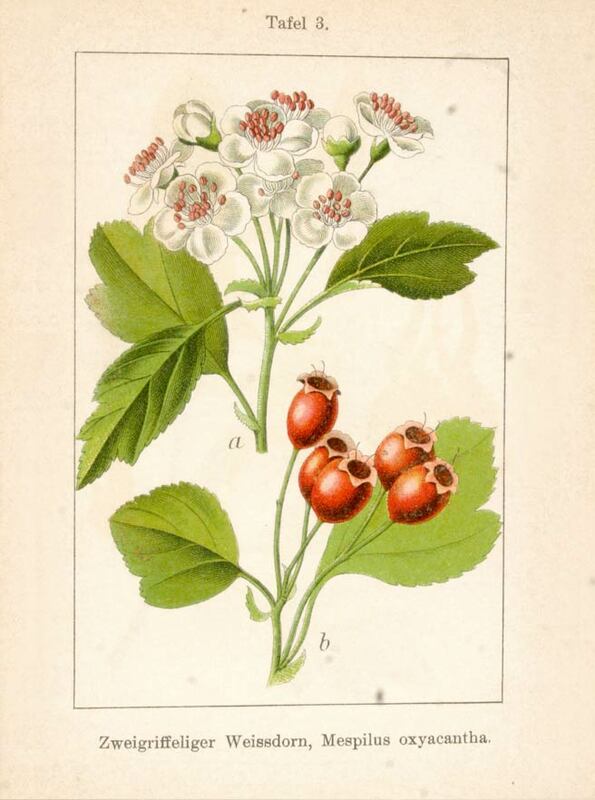 The common name for hawthorn comes from haw, which is an old English word for "hedge." The tree’s name means "thorny hedge”. 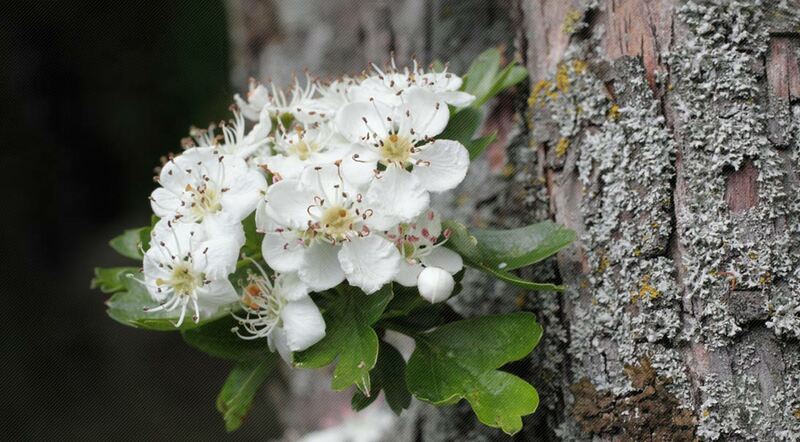 Crataegus laevigata is a species of hawthorn native to western and central Europe, from Great Britain and Spain east to the Czech Republic and Hungary. A true woodland species, hawthorn grows well in quite dense shade, can tolerate more sun, grows well in woodland edges and as hedges. Hawthorn prefers a well-drained moisture retentive loamy soil but adapts to many soil conditions. Sow the seed as soon as it is ripe in the autumn in a cold frame, some of the seed will germinate in the spring, though most will probably take another year. Stored seed can be very slow and erratic to germinate, it should be warm stratified for 3 months at 15°C and then cold stratified for another 3 months at 4°C. It may still take another 18 months to germinate. Seedling trees take from 5 - 8 years before they start bearing fruit, though grafted trees will often flower heavily in their third year. Harvest hawthorn leaf-buds in the early spring, hawthorn flowers in the spring and hawthorn berries after they ripen in the fall. Use the various parts fresh or dry them for later use. Store dried (whole or powdered) berries, leaves and flowers in airtight containers in a cool, dry place.